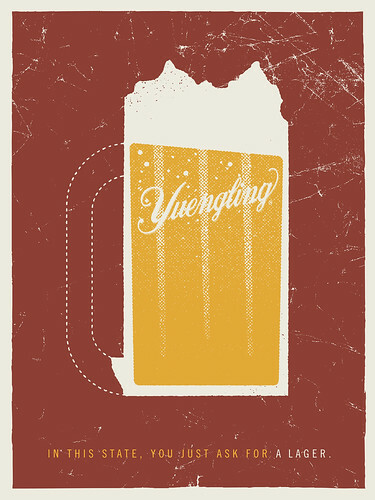 My uncle lives down in PA, and loves Yuengling...I can't say that I've actually had it that often. It pops up in weird places...a friend's brother lives down in Wilkes-Barre, and brings it up to parties, stuff like that. I really should give it more of a whirl...it's too bad it's not more readily available up here, but I think I'm a little too far north for it. This page contains a single entry by Mark published on October 21, 2010 9:27 PM. Triple Play was the previous entry in this blog. Double Feature: IPA is the next entry in this blog.